Mindee J. Reuben represents plaintiffs across the country in a broad range of antitrust and consumer class action matters, regularly serving as lead, co-lead and liaison counsel and as a member of case-management committees in high-profile, multi-jurisdictional litigation. Super Lawyers® and Philadelphia Magazine have repeatedly named Mindee as one of Pennsylvania’s top lawyers in the field of antitrust, as well as one of the top 50 Women Super Lawyers overall in the state. Mindee has also been named in the 25th Edition of The Best Lawyers in America© for her work in Antitrust Law and Litigation – Antitrust. Mindee is currently involved in several plaintiff class action antitrust matters, including In re: Processed Eggs Products Antitrust Litigation, No. 08-md-2002 (E.D. Pa.), in which she is co-lead and liaison counsel, and the court has approved over $130 million in settlements. She is also a member of the steering committee and has oversight of the document review in In re: Generic Pharmaceutical Pricing Antitrust Litigation, No. 16-md-2724 (E.D. Pa.), a member of the trial plan committee in In re Blue Cross Blue Shield Antitrust Litigation (Subscribers), No. 13-cv-20000 (N.D. Ala.), and a member of the deposition team in In re Broiler Chicken Antitrust Litigation (Direct Purchasers), No. 18-cv-8637 (N.D. Ill.). Other recent antitrust cases in which she has had a case management role include In re: Lithium Ion Batteries Antitrust Litigation, No. 13-md-2420 (N.D. Cal.) (steering committee), Gordon v. Amadeus IT Group, S.A., No. 15-cv-5457 (S.D.N.Y.) (co-lead counsel), and In re: Polyurethane Foam Antitrust Litigation, MDL No. 2196 (N.D. Ohio) (executive committee). Past representative antitrust matters include BP Products North America, Inc. Antitrust Litigation (N.D. Ill.) ($52 million settlement), In re: Polyester Staple Antitrust Litigation (W.D.N.C.) ($50 million settlement), In re: Electrical Carbon Products Antitrust Litigation (D.N.J.) ($21.9 million settlement), and In re Flonase Antitrust Litigation (E.D. Pa.) (confidential settlement on behalf of generic competitor). Mindee has also served as class counsel in the consumer class action of Fritzinger v. Angie’s List, Case No. 12-cv-1118 (S.D. Ind. ), and as co-lead counsel in Stone v. Stewart Title Guaranty Co., Philadelphia Court of Common Pleas, June Term, 2006, No. 2003 (consol. under Cummings v. Stewart Title Guaranty Co., et al., Philadelphia Court of Common Pleas, March Term, 2005, No. 747), both of which resulted in favorable settlements for the class. At the final approval hearing, the court noted that “counsel really did an extraordinary job.” She is presently handling a number of other consumer class action matters around the country involving product defects, data breaches, and assorted. Mindee is actively involved with the Philadelphia Bar Association, historically having served as Vice Chair of the Association’s Bench Bar and Annual Meeting and as Chair of its Women’s Rights Committee. Her work on the Women’s Rights Committee focused on human trafficking in the United States, and resulted in the Association’s Board of Governors passing a Resolution in Support of Ratification of the United Nations Convention on the Elimination of All Forms of Discrimination Against Women (CEDAW). She is also a member of the Federal Courts Committee, Women in the Profession Committee and Business Law Section. Mindee is a founding member of Women Antitrust Plaintiffs’ Attorneys, a national organization of women who focus their practices on cartel and other anticompetitive cases. She is also an Amicus Judicii member of the National Association of Women Judges (NAWJ), whose mission is to promote the judicial role of protecting the rights of individuals through diverse judicial leadership, fairness and equality in the courts, and equal access to justice. Mindee has contributed to numerous comprehensive legal publications, and has spoken on a variety of subjects, including ethics and the Federal Rules of Civil Procedure. Most recently, Mindee was a panelist for the ABA Civil Practice and Procedure Section of Antitrust Law speaking on “Antitrust Class Action Program Series: Class Action Killer or Business as Usual? -- Rule 23(b)(3) and the Predominance Requirement” and a panelist for the ABA Section of Litigation’s “Rules Roadshow,” on the topic “Precision Advocacy: Reinventing Motion Practice to Win” in Philadelphia. After earning a B.A. from Indiana University and Juris Doctor and Master of Public Administration from the University of Pittsburgh, Mindee served as a law clerk for the Honorable Frank J. Montemuro, Senior Justice of the Supreme Court of Pennsylvania. Bar Admissions: New Jersey; Pennsylvania; U.S. Court of Appeals -Third Circuit; U.S. District Court, Northern District of Illinois, District of New New Jersey, Eastern District of Pennsylvania, Middle District of Pennsylvania, and Western District of Pennsylvania. Committed to furthering educational and career opportunities for women lawyers, Mindee has mentored first-year law students through the Women’s Law Caucus of Temple University School of Law. Presently, Mindee is a Lecturer in Law at the University of Pennsylvania School of Law where she teaches legal writing to LL.M. students. She also has served as an Adjunct Professor of Law at the James E. Beasley School of Law of Temple University. On Thursday, November 8, 2018, Mindee J. Reuben was a featured speaker at the Golden State Antitrust, UCL and Privacy Law Institute & Antitrust Lawyer of the Year Reception and Dinner in San Francisco, CA. Mindee J. Reuben was a panelist at the ABA Antitrust Masters Court IX on the topics of Expert Witnesses, Class Certification, and Pleading & Proving Conspiracy from October 18-20, 2018, in Cambridge, Maryland. Mindee Reuben was selected by her peers for inclusion in The Best Lawyers in America© 2019 in the field of Antitrust Law and Litigation. On August 15, 2017, the Honorable Gene E.K. Pratter denied certain defendants’ motion to decertify the Shell Egg Class which the Court had previously certified in the Direct Purchaser Class litigation, In re Processed Egg Products Antitrust Litigation, No. 08-md-2002 (E.D. Pa.). A copy of the Memorandum Opinion can be accessed here. Mindee J. Reuben of LDG is co-lead and liaison counsel for the Direct Purchaser Class. On March 24, 2017, Mindee J. Reuben will participate as a panelist in the ABA Section of Litigation’s “Rules Roadshow,” on the topic “Precision Advocacy: Reinventing Motion Practice to Win” in Philadelphia. Lite DePalma Greenberg is pleased to announce that the Direct Purchaser Plaintiff Class in In re Egg Products Antitrust Litigation, Case No. 08-md-2002 (E.D. Pa.), has reached a $75 million settlement with defendant Michael Foods, Inc. This settlement is in addition to over $61 million that was previously obtained for the Class, for a total of over $136 million. The case continues to proceed against three other defendants. Mindee J. Reuben, Counsel to the Firm, is co-lead and liaison counsel for the Direct Purchaser Plaintiff Class. Mindee J. Reuben was appointed to the Plaintiffs’ Steering Committee for the End-Payer Plaintiffs in In re: Generic Digoxin and Doxycycline Antitrust Litigation, pending in the Eastern District of Pennsylvania (MDL No. 2724, 16-MD-2724), before the Honorable Cynthia M. Rufe. The case involves allegations that generic drug manufacturers conspired to fix the prices charged for generic digoxin and generic doxycycline. On September 13, 2016, the Honorable Gene E.K. Pratter (District Court of the Eastern District of Pennsylvania) rejected an argument by Defendants that they were immune from liability under the federal antitrust laws. See In re Egg Products Antitrust Litig., Case No. 08-md-2002 (ECF Nos. 1441-1442). Specifically, Defendants had claimed that Section 1 of the Capper-Volstead Act and Section 6 of the Clayton Act provided them with immunity from antitrust liability for the acts of an agricultural cooperative of which they were members. The Court concluded that Defendants were not entitled to immunity because at least one of the members was not a producer as defined in the Acts. Mindee J. Reuben, Esquire, of Lite DePalma Greenberg, LLC, is co-lead and liaison counsel for the direct purchaser class. On September 13, 2016, the Honorable Gene E.K. Pratter (District Court of the Eastern District of Pennsylvania) denied motions for summary judgment filed by four defendants in the matter of In re Egg Products Antitrust Litig., Case No. 08-md-2002 (ECF 1444). In doing so, the Court noted that it was “undisputed that each of the moving Defendants consciously committed to joining and maintaining its respective status within the UEP Certified Program. The actual components of the UEP Certified Program, of which the Defendants were undisputedly aware, could be used by a reasonable jury to determine that each of the Defendants consciously committed to a program designed to reduce supply.” Mindee J. Reuben, Esquire, of Lite DePalma Greenberg, LLC, is co-lead and liaison counsel for the direct purchaser class. 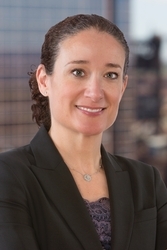 Mindee J. Reuben was recently appointed co-lead counsel for a certified class of shell egg purchasers in In re Egg Products Antitrust Litigation, Case No. 08-md-2002, pending in the Eastern District of Pennsylvania. The lawsuit asserts that defendants conspired to manipulate the supply of shell eggs in order to raise their prices from 2004 to 2008. Over $50 million in settlements have been approved to date. On September 21, 2015, the Honorable Gene E.K. Pratter of the United States District Court of the Eastern District of Pennsylvania, granted certification to a class of direct purchasers of shell eggs against a group of egg producers (In re Processed Egg Products Antitrust Litig., Case No. 08-MD-2002). The antitrust action, which was commenced in 2008, alleges that the defendants engaged in a conspiracy to reduce the supply of eggs and thereby increase prices. To date, plaintiffs have obtained over $61 million in settlements for the benefit of the direct purchasers. The case continues to proceed against the four remaining defendants, Michael Foods, Ohio Fresh Eggs, Rose Acre Farms, and R.W. Sauder. Mindee J. Reuben, counsel to the firm, is co-lead and liaison counsel for the direct purchaser class. Hearsay is an out of court statement that a party offers in evidence to prove the truth of the matter asserted in the statement. Fed. R. Evid. 801(c). Some witness statements, even if made outside of court, do not qualify as hearsay. Examples include an inconsistent prior statement by the witness given under oath, or an admission by a party against its interest. Fed. R. Evid. 801(d). Other witness statements, even if they qualify as hearsay, may be admitted under special circumstances. Fed. R. Evid. 803-804. Examples include business records or public records. Currently under consideration by the Civil Rules Advisory Committee ("Advisory Committee"), the Committee on Rules of Practice and Procedure, the Judicial Conference, and the Supreme Court, are proposed amendments to Federal Rule of Civil Procedure 23(e), relating to class action settlements. On February 15, 2017, the House Judiciary Committee approved (along party lines) H.R. 985, the "Fairness in Class Action Litigation Act of 2017" (the "Act"), without public hearings or debate. Eight amendments were proposed in the House, all of which failed. On March 9, 2017, the Act was approved by the House in its original form, again along party lines (220 to 201). It was received in the Senate on March 13, 2017, and referred to the Judiciary Committee. No action has yet been taken by the Senate Judiciary Committee. New Jersey Rule of Professional Conduct 3.4(g) provides that an attorney "shall not … present, participate in presenting, or threaten to present criminal charges to obtain an improper advantage in a civil matter." Doing so "is a form of intimidation and harassment that threatens the integrity of the civil process and is prejudicial to the administration of justice." New Jersey Ethics Opinion 714 (Conditioning Entry of a Plea or Entry Into Pretrial Intervention on Defendant's Release From Civil Liability and Hold-Harmless Agreement), 194 N.J.L.J. 451 (Oct. 27, 2008). But what exactly constitutes obtaining an "improper advantage" under the New Jersey ethical rules? In FTC v. Actavis, Inc., 133 S. Ct. 2223, 2245 (2013), the Supreme Court ruled that a reverse payment settlement agreement, pursuant to which a brand-name manufacturer pays a generic manufacturer to delay bringing its generic to market, is subject to antitrust scrutiny under the rule of reason standard. Actavis, 13 S. Ct. at 2237. The Supreme Court was concerned about such "pay-for-delay" agreements for several reasons, including, among other things, that two competitors were dividing the market between themselves to the detriment of the consumer. Id. at 2235. Whether the rule in Actavis extends to pay-for-delay settlements that do not involve a cash component is an open question in most jurisdictions, although it may be addressed by the Supreme Court in the near term. On May 16, 2016, the Supreme Court declined to resolve the question of whether requiring an organization to submit a form stating that it objected on religious grounds to providing contraceptive coverage substantially burdens the exercise of religion in violation of the Religious Freedom Restoration Act of 1993, 42 U.S.C. § 2000bb et seq. ("RFRA"). See Zubik v. Burwell, 578 U.S. ___, 2016 U.S. Dist. LEXIS 3047 (S. Ct. May 16, 2016) (per curiam). Instead, the Court vacated and remanded the cases to the respective Courts of Appeals for the Third, Fifth, Tenth and D.C. Circuits. While the Court's decision was surprising given the split among the Circuits on the issue (many commentators have accused the Court of "punting"), this is not the first time that the Supreme Court has remanded a case after granting certiorari, particularly where oral argument or briefing has elucidated facts and positions of the parties not considered below. The Advisory Committee on Evidence Rules ("Advisory Committee"), part of the Committee on Rules of Practice and Procedure of the Judicial Conference of the United States, is seeking approval to abrogate Federal Rule of Evidence 803(16), the ancient documents exception to the hearsay rule. The proposed amendment grew out of the Advisory Committee's concerns about the growth of electronically stored information ("ESI") and the potential for abuse of F.R.E. 803(16) in the ESI context.